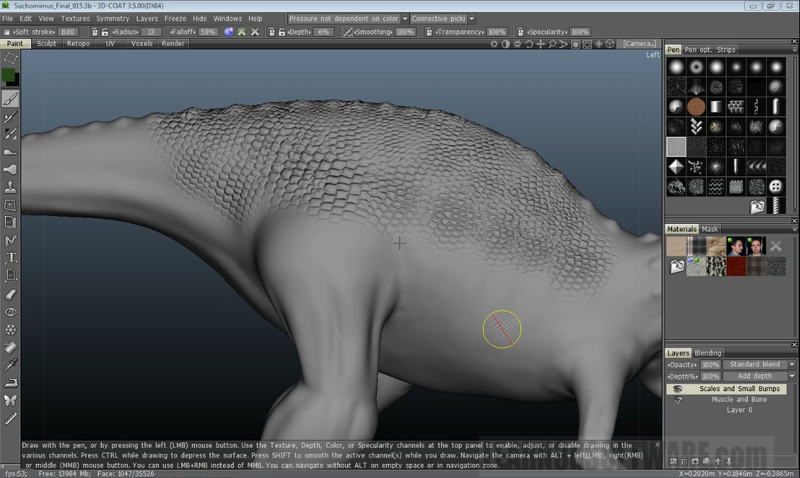 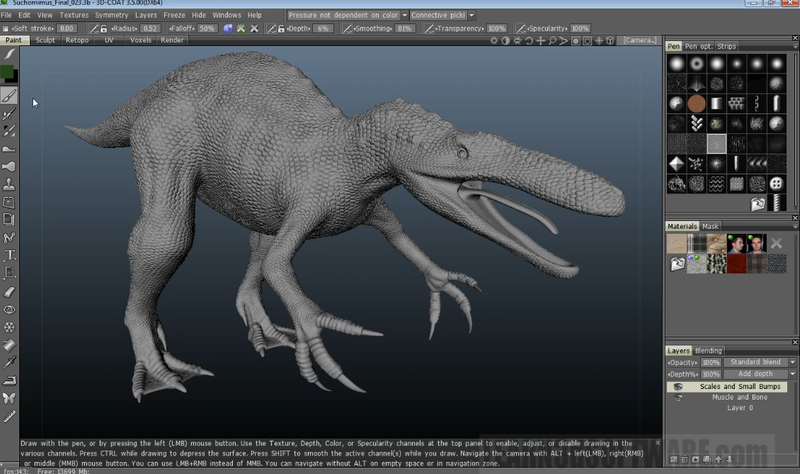 In this video tutorial 3D Instructor Adam Gibson demonstrates how to detail a Suchomimus dinosaur using 3D Coat's Normal and Displacement Mapping tools. 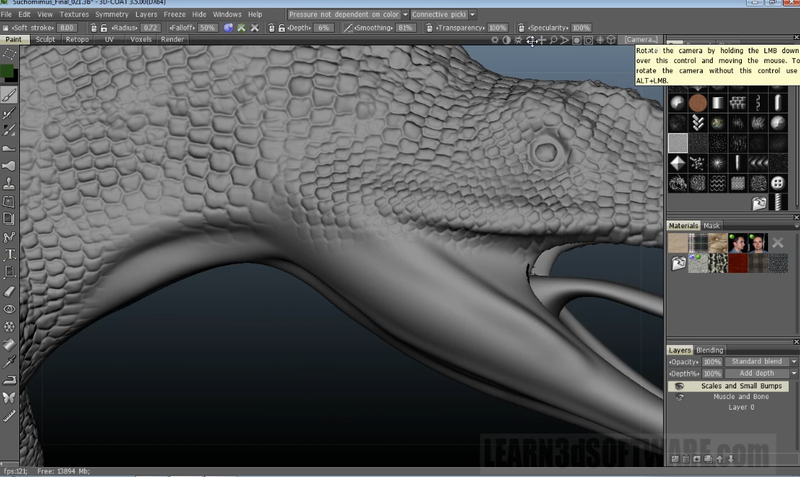 Learn how to take plain and low-detailed models and spice them up by adding muscle, bone, tendon, skin folds, bumps and scales to their surface. 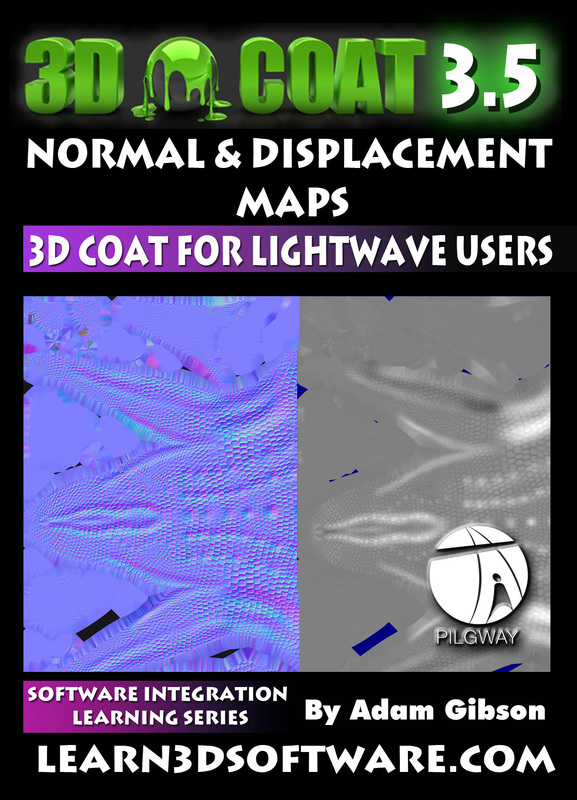 Then the video finishes off by showing the secrets of taking the normal and displacement maps created in 3D Coat and exporting them out for use in Lightwave 3D. 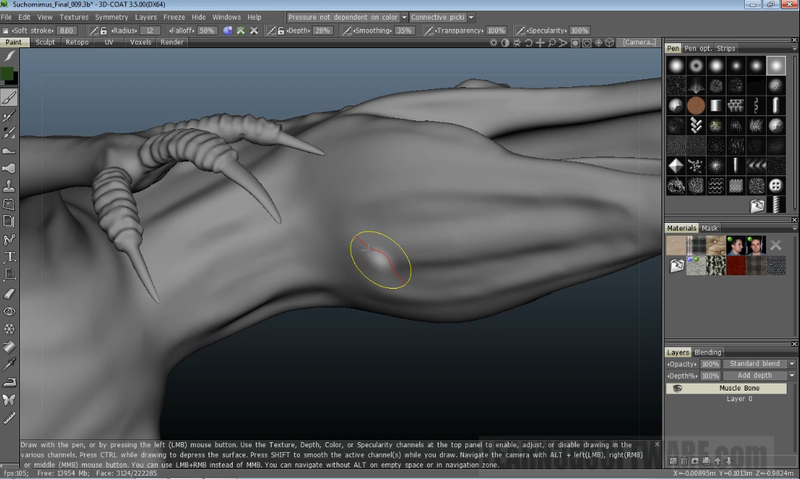 Although setting up Normal Maps in Lightwave is relatively easy, Displacement Maps can be slightly challenging. 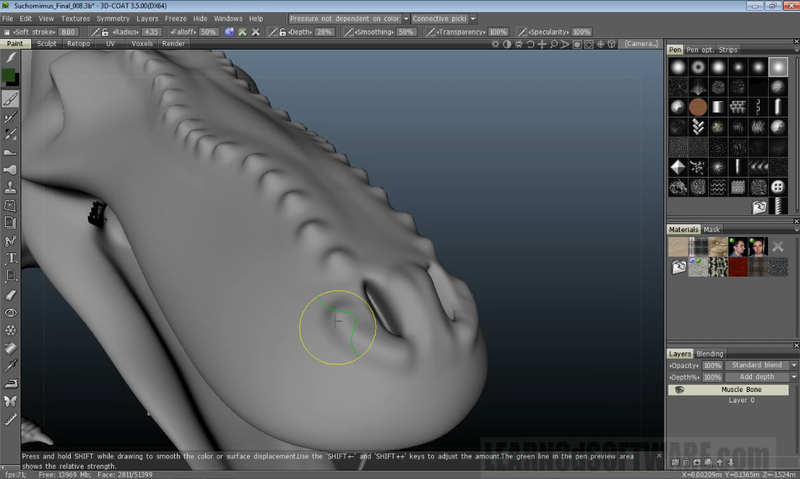 Displacement Map set-up using the Node Editor is shown in great detail. 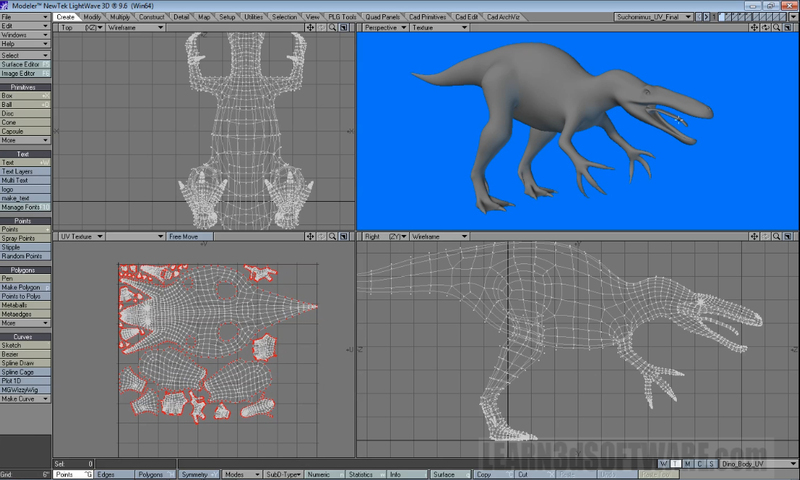 Running Time: 5 hrs. 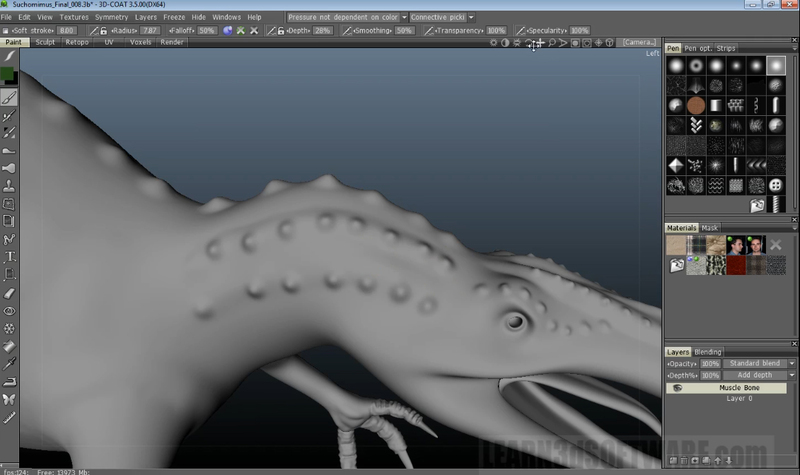 48 mins.